Another batch of old Local Election results many of which are unavailable online. They are in excel format. Another bunch of Local Election Results that include many that are currently unavailable online. 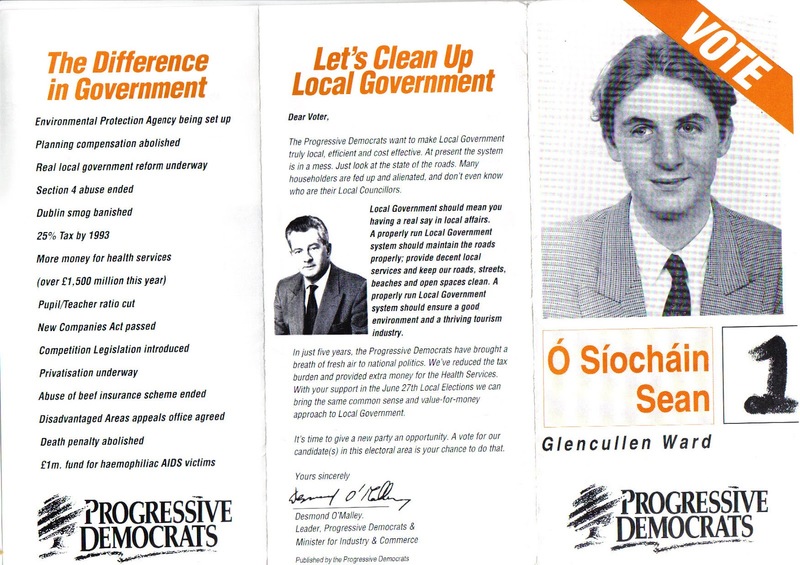 At the minute the fabulous electionsireland.org has most of the 1991 LE with all of the 1999, 2004 and 2009 results. 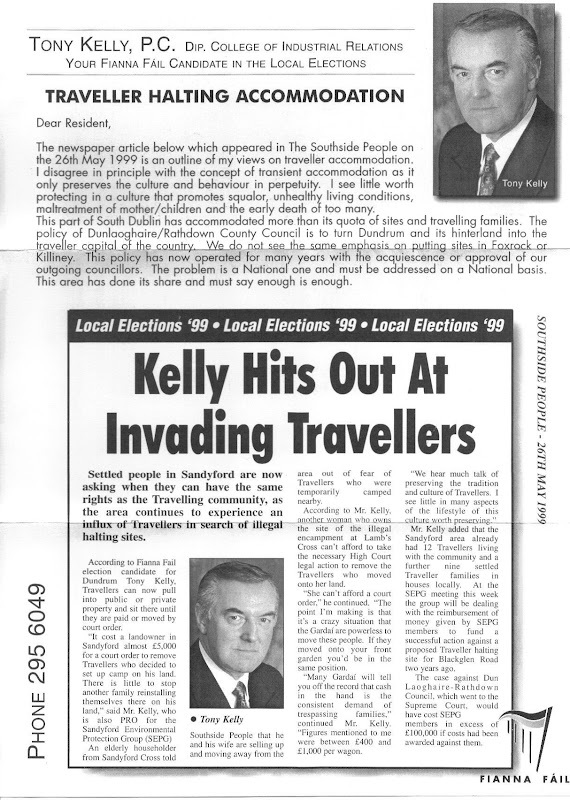 ‘Outspoken’ on the issue of Halting sites, Tony Kelly was elected in these 1999 local Elections for Fianna Fail in Dundrwum polling 1,108 votes. He lost his seat in 2004 and failed again in 2009. A young Sean O Siochain stands for the PDs in their first local elections. He wasn’t elected. Normally the inside pages would be packed with stuff, where here a large part is taken up by the fact that his Grandfather was ex Director General of the GAA.